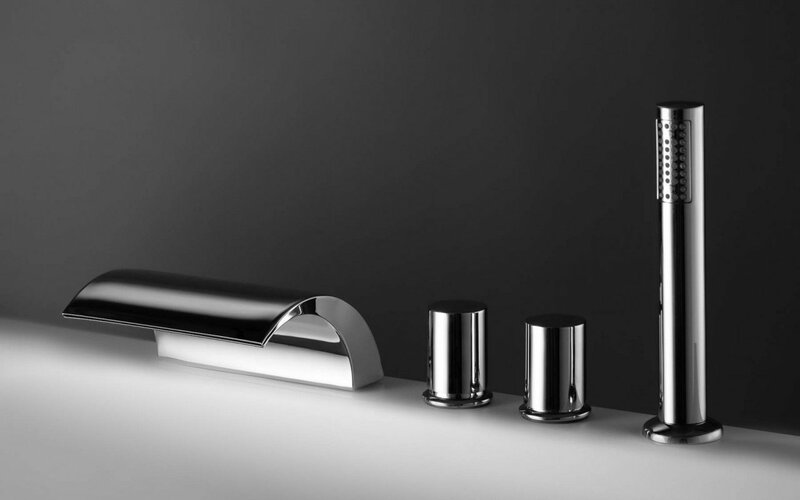 The modern and flowing design of the Aquatica Italia Waterfall Faucet has a stylish and refined finish, which will give your freestanding bathtub as well as your bathroom and added sense of charm. Crafted in Italy, the simple and easy installation of our deck mounted faucet comes with a backflow preventer and conveniently includes a handheld shower head, which allows for a much more targeted showering experience. 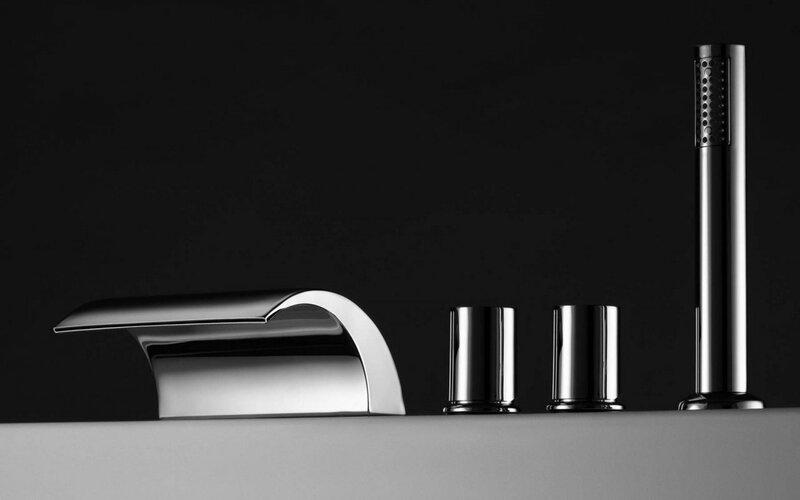 This one of a kind faucet has a curved and wave styled design which has been constructed using top quality solid brass, with gorgeous Chrome finish, and a ceramic disk cartridge. 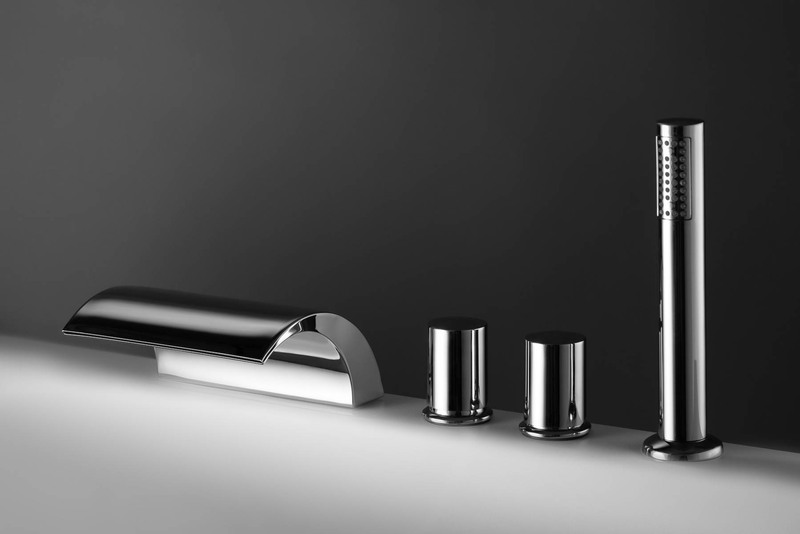 For added benefit, this faucet also comes with a 5 Year Limited Warranty. Very happy with our fixtures. Looks great after installation.